Driving a car is one of the most effective ways to roam New Zealand. The reason is because tourists don’t need to be tied to a schedule and can visit places that may be difficult to reach with a common transportation. In addition, tourists can also free to determine the type of accommodation, without having to always stay in the city center but can stay in the city border with cheaper rents or camping in the camping ground outside the city. To be able to drive a car in New Zealand, travelers require a valid drivers license from country of origin. In New Zealand people drive on the left. However, there is one rule to remember, have to make way to other vehicles that come from the right direction. All passengers must wear seat belts. Car speed limits that apply in the outside lane city is 100 km/h, and is usually reduced to 50 km/h when approaching residential areas. Road conditions are generally good and there is no congestion, but I like the big city between Auckland’s and Wellington during peak hours. Most roads are paved but only partially covered gravel roads become slippery after rain. Some companies sometimes don’t allow rental car used up to an area with poor road conditions. So first, always check routes and road conditions by looking at the map if the road is paved or not. Another thing to watch is the one lane bridge that is generally characterized by One Lane Bridge. Note also the sign before crossing to find out who’s going first. If there is a Give Way sign, it means you have to make way to the vehicle across the bridge first. In addition, be careful when passing the farm because sometimes there is a group of farm animals crossing the road. If you want to get around New Zealand with rent a car, taken the usual route starts from Auckland, around the North Island, then return the car in Wellington, across Cook Strait, rent a second car in Picton, traveling around the South Island, and return the car in Christchurch. In addition to this route, of course there are many other alternative way, depends how much time you have to roam New Zealand. Because many car rental services, car rental rates in New Zealand are very competitive. The rental price is also cheaper in the winter. Some well-known international company with businesses including car rental of Hertz, Avis, National, Budget, and Thrifty. This rent a car Company have many branch anywhere. So the advantage of renting a car is the assistance in case of problems with the vehicle. Travelers can contact the company and they will send the tenant assistance. 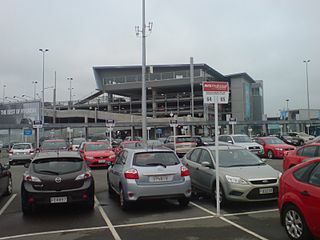 At any given time, in large city which became a tourist destination such as Picton, Wellington, Christchurch, and Queenstown, car rental companies need to accumulate so that the car returns to the city of origin. In such situations, usually occurs relocation deal, which offers low rental rates for cars home town. However, before you have to pay attention to agreement because some companies provide limited time related to the needs of the car elsewhere, although there is also a leeway of 1 to 2 days. Before you sign the lease agreement letter, first check the condition of the car. don’t get a fine when returning the car, because of the damage that made from the previous tenants. Recommended Cheap car rental agencies in New Zealand such as Bargain Rental Cars, Jucy, and Apex.